You may use LetsTalkSurvival.com without registration, but in order to take advantage of some aspects of LetsTalkSurvival.com, you will need to register for an account. Your account is for your sole, personal use, you may not authorize others to use your account, and you may not assign or otherwise transfer your account to any other person or entity. You are responsible for the security of your password and will be solely liable for any use or unauthorized use under such password. LetsTalkSurvival.com expects all of its users to be respectful of other people. If you notice any violation of this Acceptable Use Policy or other unacceptable behavior by any user, you should report such activity to LetsTalkSurvival.com at info@letstalkfirearms.com. You are solely responsible for the Content that you post on LetsTalkSurvival.com or transmit to other users and agree that you will not hold LetsTalkSurvival.com responsible or liable for any Content from other users that you access on LetsTalkSurvival.com. You understand that when using LetsTalkSurvival.com, you will be exposed to Content from a variety of sources, and that LetsTalkSurvival.com is not responsible for the accuracy, usefulness, safety, or intellectual property rights of or relating to such Content. You further understand and acknowledge that you may be exposed to Content that is inaccurate, offensive, indecent, or objectionable. If you do so object, you should not use LetsTalkSurvival.com. From time to time certain aspects of LetsTalkSurvival.com may involve voting through a variety of mechanisms potentially including web-based and/or mobile voting. LetsTalkSurvival.com reserves the right to adjust the outcome of any voting associated with LetsTalkSurvival.com if it believes, in its sole discretion, that any mechanism of fraud, abuse, or automated voting has influenced the result. Furthermore, LetsTalkSurvival.com will consider the outcome of voting in association with LetsTalkSurvival.com, but may use other factors in addition to voting to determine various aspects of LetsTalkSurvival.com associated with voting. This Service may contain links to other web sites not maintained by us. These links may include listings that can provide you with further information, or links that have been included in materials uploaded to LetsTalkSurvival.com by a party other than LetsTalkSurvival.com. We encourage you to be aware when you leave our Service and to read the terms and conditions and privacy statements of each and every web site that you visit. We are not responsible for the practices or the content of such other web sites or services. Despite any links that might exist on LetsTalkSurvival.com, we do not endorse and are not affiliated with such third parties. 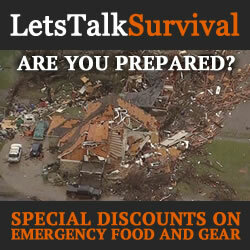 LetsTalkSurvival.com accepts many forms of cash advertising, sponsorships, paid insertions and other forms of compensation including participation affiliate programs which provide commission. Product pricing and availability are subject to change. Any price and availability information displayed on the associated sites at the time of purchase will apply to the purchase of these products. LetsTalkSurvival.com is also a participant in the Amazon Services LLC Associates Program, an affiliate advertising program designed to provide a means for sites to earn advertising fees by advertising and linking to Amazon.com. 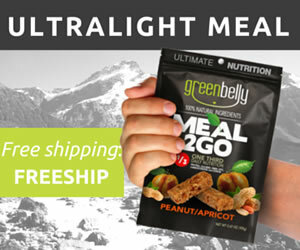 Sometimes we receive products for free or at a discount in consideration for a complete, honest and impartial product review for publication on LetsTalkSurvival.com with no guarantee of the outcome whatsoever. Any opinion provided on LetsTalkSurvival.com is based entirely on our personal experience with the product(s). LETSTALKSURVIVAL.COM, INCLUDING ALL CONTENT MADE AVAILABLE ON OR ACCESSED THROUGH LETSTALKSURVIVAL.COM, IS PROVIDED “AS IS” AND WE MAKE NO REPRESENTATIONS OR WARRANTIES OF ANY KIND WHATSOEVER FOR THE CONTENT ON LETSTALKSURVIVAL.COM. FURTHER, TO THE FULLEST EXTENT PERMISSIBLE BY LAW, WE DISCLAIM ANY EXPRESS OR IMPLIED WARRANTIES, INCLUDING, WITHOUT LIMITATION, NON-INFRINGEMENT, TITLE, MERCHANTABILITY OR FITNESS FOR A PARTICULAR PURPOSE. WE DO NOT WARRANT THAT THE FUNCTIONS CONTAINED IN LETSTALKSURVIVAL.COM OR ANY MATERIALS OR CONTENT CONTAINED THEREIN WILL BE COMPLETELY SECURE, UNINTERRUPTED OR ERROR FREE, THAT DEFECTS WILL BE CORRECTED, OR THAT LETSTALKSURVIVAL.COM OR THE SERVER THAT MAKES IT AVAILABLE IS FREE OF VIRUSES OR OTHER HARMFUL COMPONENTS. WE SHALL NOT BE LIABLE FOR THE USE OF LETSTALKSURVIVAL.COM, INCLUDING, WITHOUT LIMITATION, THE CONTENT AND ANY ERRORS CONTAINED THEREIN PROVIDED BY THIRD PARTIES. IN NO EVENT WILL WE BE LIABLE UNDER ANY THEORY OF TORT, CONTRACT, STRICT LIABILITY OR OTHER LEGAL OR EQUITABLE THEORY FOR ANY DIRECT, INDIRECT, SPECIAL, INCIDENTAL, OR OTHER CONSEQUENTIAL DAMAGES, LOST PROFITS, LOST DATA, LOST OPPORTUNITIES, COSTS OF COVER, EXEMPLARY, PUNITIVE, PERSONAL INJURY/WRONGFUL DEATH, EACH OF WHICH IS HEREBY EXCLUDED BY AGREEMENT OF THE PARTIES REGARDLESS OF WHETHER OR NOT WE HAVE BEEN ADVISED OF THE POSSIBILITY OF SUCH DAMAGES. The materials appearing on LetsTalkSurvival.com’s web site could include technical, typographical, or photographic errors. LetsTalkSurvival.com does not warrant that any of the materials on its web site are accurate, complete, or current. LetsTalkSurvival.com may make changes to the materials contained on its web site at any time without notice. LetsTalkSurvival.com does not, however, make any commitment to update the materials. Any claims asserted by you in connection with LetsTalkSurvival.com must be asserted in writing to LetsTalkSurvival.com within one (1) year of the date such claim first arose, or such claim is forever waived by you. Each claim shall be adjudicated individually, and you agree not to combine your claim with the claim of any third party. Materials may be made available via LetsTalkSurvival.com by third parties not within our control. We are under no obligation to, and do not, scan content used in connection with LetsTalkSurvival.com for the inclusion of illegal or impermissible content. However, we respect the copyright interests of others. It is our policy not to permit materials known by us to infringe another party’s copyright to remain on LetsTalkSurvival.com. Should you have any questions you may contact us via the LTS Contact Us Form or by email at letstalksurvival@gmail.com. If we decide to change our terms and conditions, we will post those changes on this page, and/or update the Terms and Conditions modification date below. These Terms and Conditions of Use were last revised on 2018.10.20.